Imagine my shock/horror surprise when I happened upon a tweet from someone announcing Google reader was on it’s way to sure death. Oh how I hate to say goodbye to one my favorite blogging tools. I remember back in 2010 when I started reading blogs, I didn’t even no Google Reader existed, I was stuck attempting to keep up by using the reading list feature on blogger. 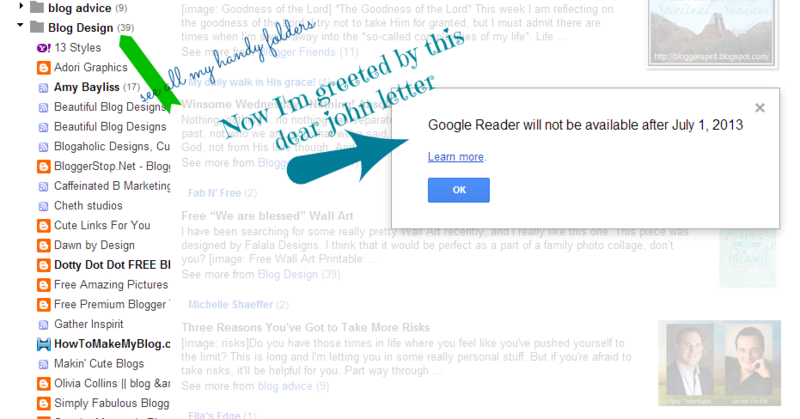 Then I was delighted to discovered the simplicity to keep track of many blogs with ease through Google Reader. And I had managed to get everything set-up just how I liked with all my folders and such sorted by subject matter. Oh why on why do they make me say goodbye. First I had to say goodbye to Google friend connect when I moved over to WordPress and now yet another friend I must say so long to. But I had stumbled upon a find a few weeks called Feedly. It allowed me to connect to my Google Reader and it turned my RSS feeds into a pretty magazine like feel. Yet with most things new, I had only been testing the waters with Feedly and I’d still been using my Google Reader for the most part. But come July that’s no longer an option. So what will you do to keep in touch with all your favorite blogs you’re currently subscribing to via RSS? Those are just a few of the options I have come across. What else have you discovered? 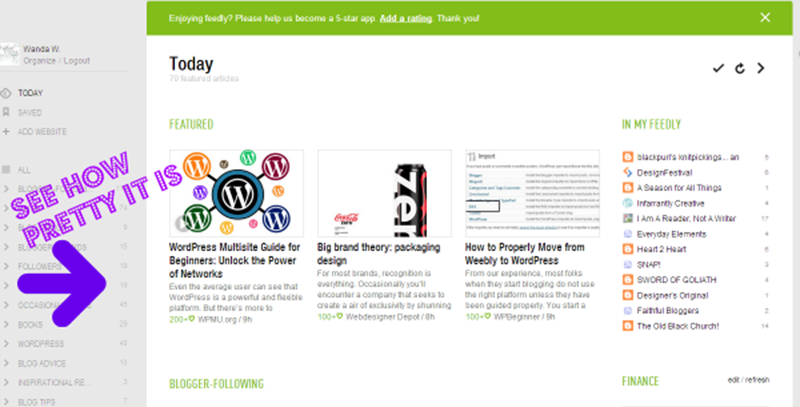 Well there are many other options but it seems that Feedly and Bloglovin are two of the post popular ones. And I do love the magazine feel of it. But time we tell just how well I like it. 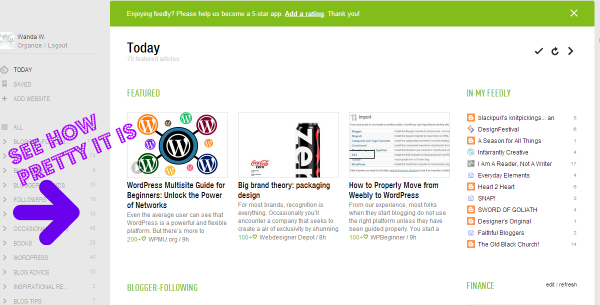 I love the look of Feedly, but it’s confusing to me. I find BlogLovin much easier and really love the APP for my iPhone. I understand Barbie, I couldn’t figure everything out with Feedly is why I was still reverting back to Google Reader but I’ve found that it keep my same groups. Although I trying Bloglovin out as well. And unfortunately I don’t have an iPhone. I use an Android device and don’t see an Bloglovin android app available. Wanda, will this affect blog rolls or followers? Someone told me this is a step toward forcing everyone to convert to Google+. Pam, that’s an excellent question and honestly I’m not sure about. However, I would think as long as you have a blog listed on your blog roll you would still get their updates. I don’t doubt Google+ has some bearing on the decision to discontinue Reader. I just recently signed up for Google+ I read some where that it takes the place of your regular google profile. Oh Wanda, I’m such a computer-illiterate, I don’t know how to do half the things I need to. All I know is that I. DON’T. LIKE. CHANGES. LOL…with all the changes Sharon, it’s hard to keep up I tell you. I’m with you some changes I embrace a little more quickly than others. Feedly kind of makes you think of food and eating doesn’t it. At least that’s what comes to my mind. Thanks for sharing my post! Like you, I’m using a combination of Reader and Feedly right now. I’m definitely sad to say goodbye to Reader. You’re welcome Jessica. I found it very information and always like to share valuable resources with others. Although I’m trying out some alternatives, it is going to take some getting use to not have reader. I really need to give this some thought. I have been so busy, I have not really taken the time to get my social media life organized. 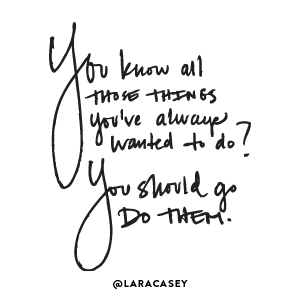 With forced change, I think now is the time to do it. 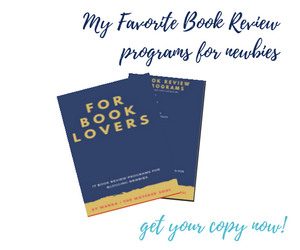 The announcement about reader was totally unexpected, although I had been thinking I needed to do a bit of spring cleaning of my reading lists.